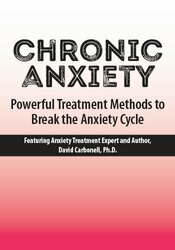 Apply simple yet effective clinical interventions in session to help clients acquire a new perspective of chronic anxiety and a more adaptive approach to managing symptoms. What maintains it? How to end it. PESI, Inc. is an AOTA Approved Provider of continuing education. Provider #: 3322. This self-study course qualifies for 6.0 self-study contact hours or .6 CEUs in the Category of Domain of OT and Occupational Therapy Process. The assignment of AOTA CEUs does not imply endorsement of specific course content, products, or clinical procedures by AOTA. Course Level: Intermediate. Expires: 12/13/2020. PESI, Inc. designates this self-study activity for a maximum of 6.0 AMA PRA Category 1 Credit(s)™. This activity was originally recorded on 12/13/2018. It was last reviewed on 07/25/2018 and is valid until 07/25/2021.